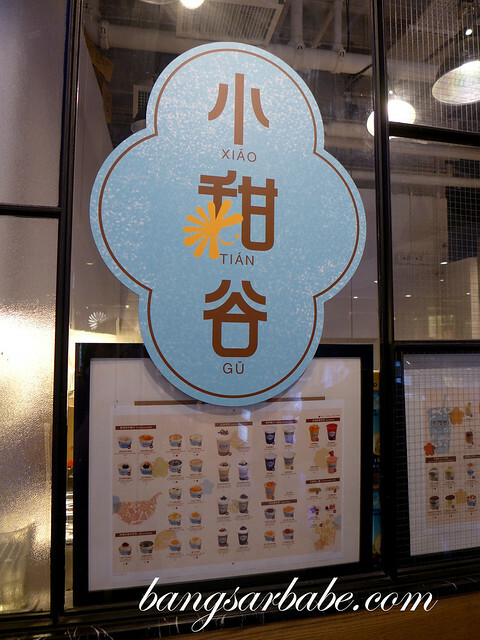 When I visited Harbour Ciry, I was introduced to the beautiful Jo Koo, founder of Xiao Tian Gu – a cafe chain serving traditional Hong Kong style dessert with a Japanese twist. By literal translation, Xiao Tian Gu stands for small sweet valley. I had a small chat with Jo Koo on why she opened Xiao Tian Gu in Harbour City and she emphasised on the takeaway culture in Hong Kong. We’re talking about a country where space is a luxury and people are constantly on the go. rif and I tried some of Jo Koo’s recommendations – almond tea with egg white (HKD26), steamed milk and egg white (HKD26), milk coffee panna cotta (HKD29), mango sago soup (HKD26) and imperial Chinese gelatin with sweet gui hua flowers (HKD20 for 4 pieces). I enjoyed them all, especially the steamed milk and egg white and milk coffee panna cotta. The former was silken smooth with a lovely aroma. 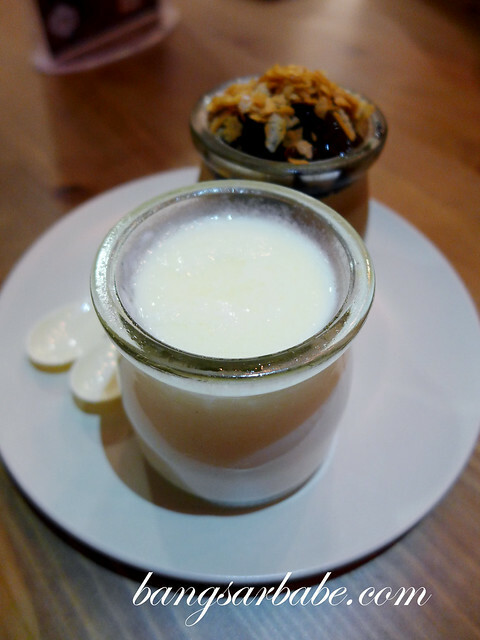 The panna cotta was silky smooth and just firm, with a gentle wobble. I loved the texture and overall richness of this dessert. 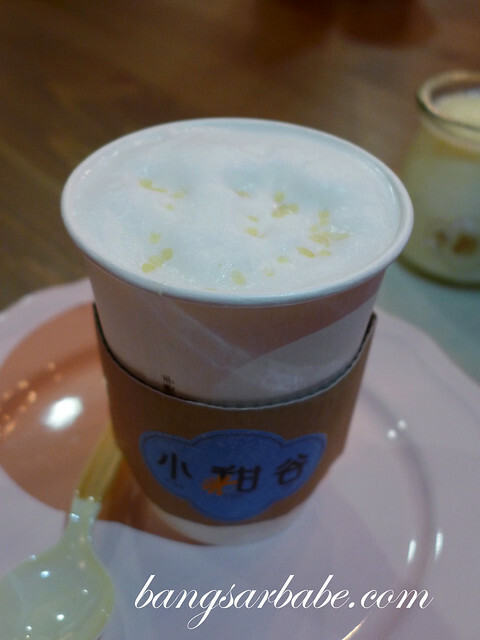 The almond tea with egg white could have done with a stronger almond flavour, but that’s because I love almonds. That aside, it was lightly flavoured and not overly sweet. I noticed most HK desserts aren’t heavy on the sugar. Mango sago soup was akin to the “Mango Loh” we’re accustomed to back in Kuala Lumpur. Only difference is. Hong Kong does it better. I liked the texture of the jelly and the ingredients were well balanced. 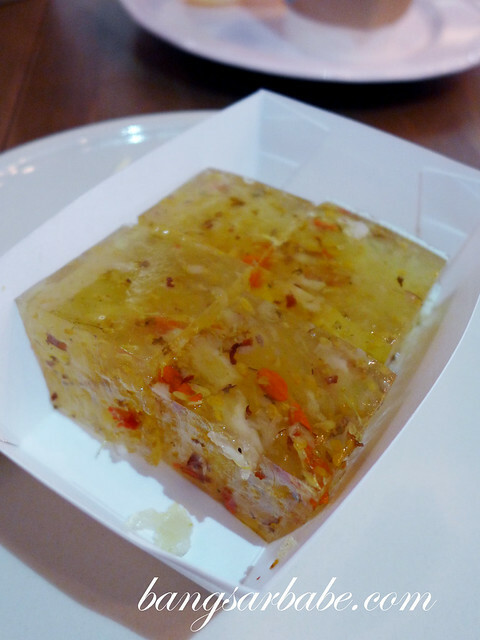 If I’m not mistaken, the imperial Chinese gelatin with sweet gui hua flowers is also called osmanthus jelly. I’ve tried a few of these in KL, but none measured close to the ones from Hong Kong. This made a lovely light snack. Thank you Jo Koo, for the lovely treat! 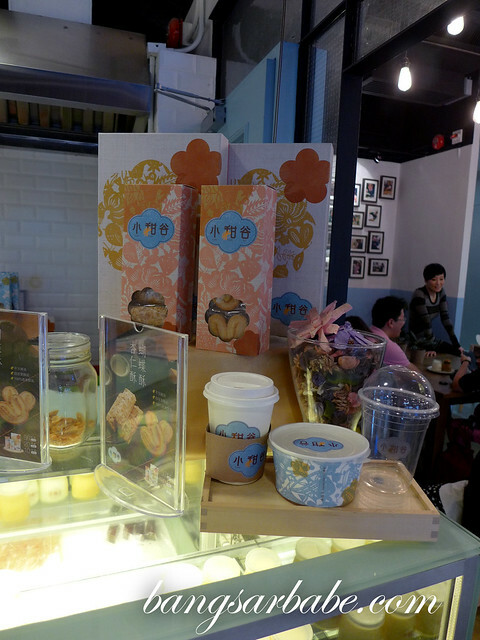 Verdict: Good Hong Kong desserts and pretty packaging. 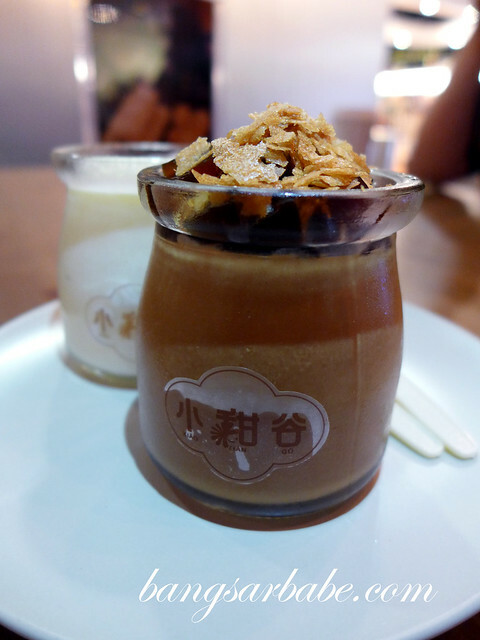 Hong Kong char char teng desert using premium Japanese milk. What more do you need!